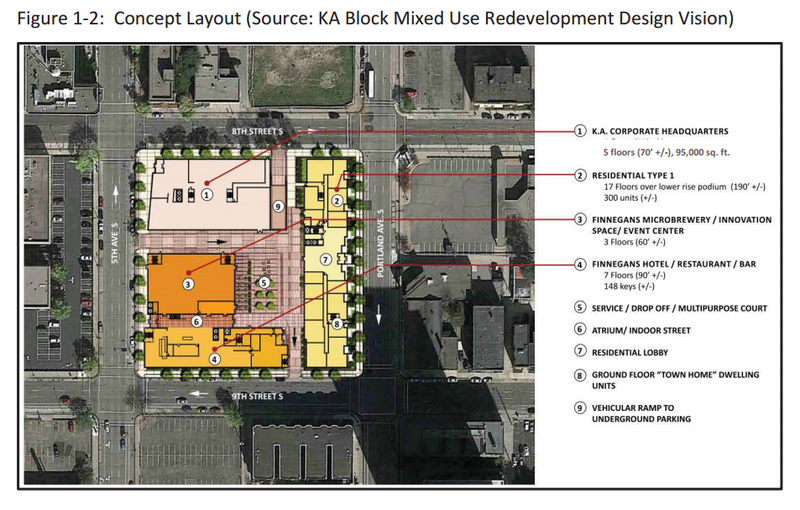 The Minneapolis Planning Commission on Monday greenlighted two major redevelopment efforts in or near downtown, helping to clear the way for construction to start in the next few months. Kraus-Anderson plans to begin construction in April on its large urban infill project -- including a new corporate headquarters, a 17-story apartment tower, a boutique hotel, a new Finnegans brewery, innovation lab and event space -- on the site of its current offices at the east edge of the central business district in Minneapolis. There will also be a 520-stall underground parking garage. The latest documents submitted to the city offer a few more design details and tweaks to the block's layout -- between 5th Avenue S., Portland Avenue S. and 8th and 9th streets S. -- outlined below by ESG Architects and Pope Architects. 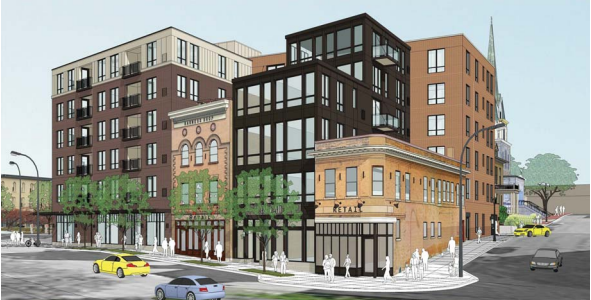 Minneapolis developer Schafer Richardson received approval of its six-story apartment and retail project on the site of the legendary Nye's Polonaise Room across the Mississippi River from downtown at 116 E. Hennepin Av. The city's consent comes after more than a year of debate and concessions between the developer, historic preservationists, neighbors, city planners and council members. The 72-unit apartment complex is much different from the developer's original plans for a 29-story building on the highly trafficked site along Hennepin Avenue, but is the design finally agreed upon by stakeholders. Schafer Richardson will preserve the two most historically significant structures on the site and will incorporate them into the new structure, pictured below. Schafer Richardson also plans to incorporate the first electrical car lift in a Minneapolis residential building parking garage. 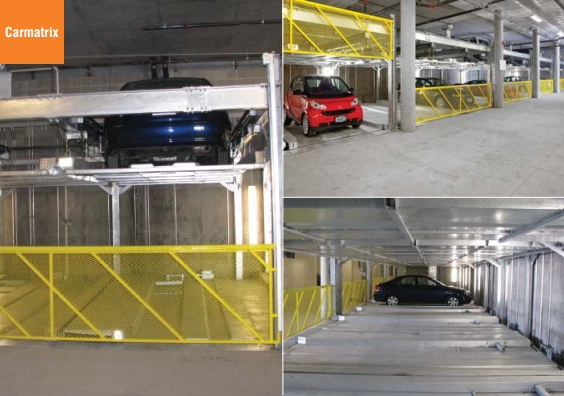 The system adds about 14 spaces to garage, which is both at and below grade, for a total of 70 spaces. "The 116 E. Hennepin site has unique challenges (existing buildings, shape of site, depth of bedrock, etc.) that limit the ability to accommodate enclosed parking in the typical way," said Maureen Michalski, Schafer Richardson's director of development, in an email. "We are excited to offer an innovative system that has worked well in other markets." The developer plans to begin site preparation work this summer. In documents filed with the city, the developer included visual examples (see below) of the car matrix system from Denver-based Harding Steel. For home appreciation, is it better to live near Target or Walmart?